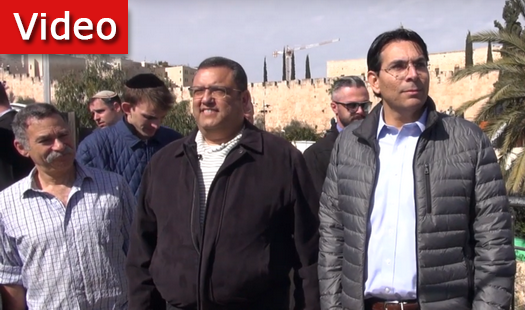 A delegation of about 40 UN ambassadors visited the City of David today (Saturday). They were led by Israel’s UN Ambassador, Danny Danon. The ambassadors met Jerusalem Mayor Moshe Leon, Israel Priza laureate David Be’eri and the Deputy President of the City of David, Doron Shpilman. 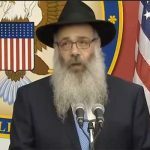 How can a mayor with a Kipah stand in front of a microphone on Shabbos koidesh. We hope that he will do teshuva quick and bring moshiach now.